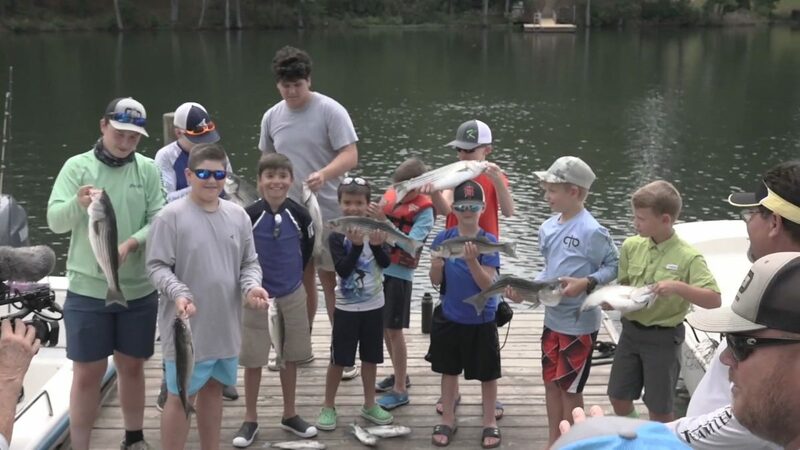 Chasin Creation crew joined up with the CTO Catawba River Basin Chapter and Midlands Outdoors for a great day of fun, fishing and fellowship on Lake Murray, SC. 10 young fishermen were divided up onto 3 different boats guided by Lee Thomas, Mike Gault and Kevin Morse. Somewhere in the neighborhood of 50 fish were caught that day with one of the boys having caught a special treat; one that he will not forget any time soon.